IoT-connected devices in medical facilities present IT departments with life-threatening issues and the risk of a breach is too great to ignore! Promon SHIELD™ prevent Malware and hackers from getting to your sensitive data and secures applications from a range of attack vectors. 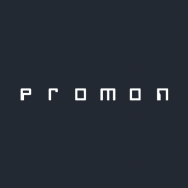 Promon is an application security vendor providing Self-Protection abilities to Applications. This is the category that Gartner defines as RASP (Runtime Application Self-Protection) / Application Shielding. With Promon SHIELD™ the app is self-protecting and protection is restricted to the application only. Our technology supports both iOS and Android, as well as other platforms such as Windows. Promon SHIELD™ monitors and controls the execution of the application, including the interactions with OS components, to protect from attacks and data exfiltration. Promon SHIELD™ provides Obfuscation, Anti-tampering and Integrity Checking, as well as White-box Cryptography and many other security features.